Gracias a la interdisciplinariedad del IBEC, los investigadores del centro tienen a su disposición los avances técnicos y tecnológicos más recientes desarrollados para la investigación en biología y ciencias biomédicas. Los jóvenes investigadores tienen a diario la oportunidad de adquirir experiencia y acceder a formación práctica utilizando tanto los métodos más tradicionales como los nuevos planteamientos en técnicas de diagnóstico por la imagen, tecnología de los nanomateriales, nanofabricación, biosensores, interpretación de bioseñales, técnicas lab-on-a-chip y muchos otros ámbitos. 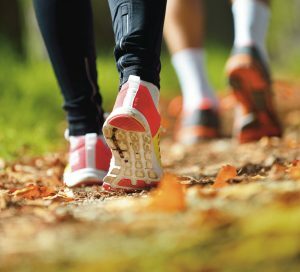 Mobility plays a key role in research training and career development. Interaction with outstanding complementary researchers, either during stays outside IBEC or by bringing people into IBEC, is essential for the progress of staff at all levels. The IBEC & ICMS Exchange Program. ICMS and IBEC strive to grow research talent in the fields of organ-on-a-chip, regenerative medicine, tissue engineering, chemical biology, biomaterials, imaging and nano-biotechnology. Therefore, we are pleased to invite IBEC postdocs, PhD and Master Students to apply for funds to visit ICMS and expand their expertise and network. The Exchange program also allows ICMS fellows to visit IBEC. | Download more information and the application form here. The IBEC Severo Ochoa Triple-I Programme funds short (from one to three months) stays at universities, research centres, biomedical companies and hospitals for predoctoral researchers at IBEC. | Download the results of the first call here and the second call here. 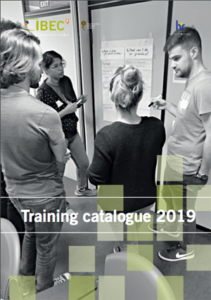 Our Training Catalogue is a brief summary of the training courses offered at IBEC. Training at IBEC aims to develop internal talent and offer a wide array of courses designed to meet the needs of IBEC’s scientists and staff across all career stages and disciplines. It complements their expertise with the continuing development of transferable skills and competencies that can help them to be better prepared for today’s rapidly changing environments, thus ensuring that are given the opportunity for professional development and for improving their employability. Specifically, IBEC aims at preparing them to deliver brilliant research while giving them the opportunity to make the next steps onwards in their careers. | Please contact the HR unit at cmari@ibecbarcelona.eu to find out about future training courses. 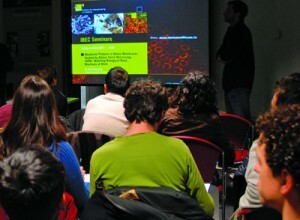 Besides the mandatory doctoral courses offered by the universities, IBEC offers several training courses specifically devoted to PhD students and early postdocs, covering such topics as scientific writing, how to publish in high ranking journals, preparing a PhD thesis and presentation skills in English. 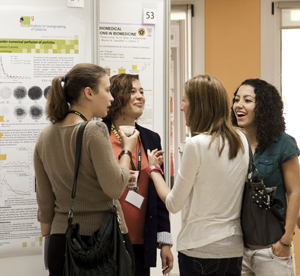 The institute also holds an annual symposium on a different scientific theme, as well as hosting and organizing several other project-based or general scientific meetings and workshops throughout the year. | Find out more information in the Training Catalogue. IBEC researchers also have the chance to learn from their colleagues at the PhD Discussions series of talks and skills sessions. These provide a forum for students to present the results of their research and discuss them with each other, as well as with more experienced researchers. Outside speakers are also invited to help IBEC’s students in their career development by delivering talks on complementary skills such as entrepreneurship and career mobility. | Visit our calendar for forthcoming IBEC Seminars and PhD discussions sessions.